Protecting your fine and precious jewelry with the right safe can mean the difference between loosing your valuables in a burglary or fire or finding them unharmed in your safe. To learn more about jewelry safes or to order a semi-custom safe, stop by our full service safe showroom and speak to one of our safe experts. We sell, deliver, install, and repair all types of safes. A properly selected and installed safe is an investment that can last many years if not decades. Consider not only what you will put in your safe today, but what you might be putting in your safe in the future. 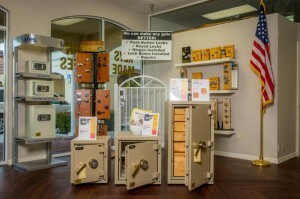 Many safe owners buy a safe for their needs today and run out space in their safes. Often they wish they had purchased a larger safe to begin with. Our best-selling jewelry safes are the Burglary & Fire “BF” Series safes. 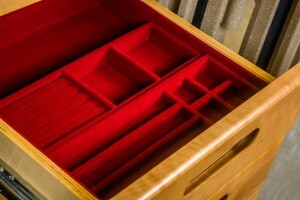 These semi-customizable safes can be upgraded with luxury velvet-lined maple wood jewelry drawers. These drawers are equipped with organizers that have dedicated spaces to protect necklaces, rings, watches, and bracelets for maximum convenience. Need more than just jewelry storage? Depending on the size of your safe, you can choose drawers that accommodate hanging files and also leave room for open shelving. Don’t need any drawers? You can purchase a jewelry tray that is designed to fit in your safe. If your jewelry is insured, you may want to consult your insurance broker for rating recommendations or requirements on content value storage. 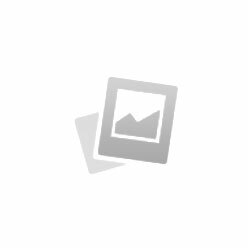 The most common types of safes for securing jewelry are listed below. Mini Safe – An affordable “B” Rated Mini-Safe can be a great option if you have space constraints or just a few pieces of precious jewelry to secure. With four bolt-down anchor points and solid plate steel construction our Mini-Safes are perfect if you need to secure a less than a few thousand dollars worth of valuables from the casual burglar. Burglary / Fire “BF” Safes – If you have accumulated a nice assortment of fine jewelry or plan to collect more over time, your best bet is a Burglary & Fire rated safe. These safes offer both 60 -120 minutes of fire protection and defense from burglary attacks. They are bolted down to prevent them from being stolen. These are available in a variety of sizes and colors with luxurious drawers and shelves to keep your valuables organized and stored properly. See the exterior color options below. High Security “TL” Safes – For serious jewelry collectors, we recommend the highest level protection with a High Security “TL” Safe. More commonly found in the homes of avid jewelry or coin collectors, jewelry stores, and in the precious metal industry, these highly rated tool-resistant safes successfully resist concentrated attacks from sophisticated burglars using advanced tools. These safes also offer 2 hours of fire protection during intense fires. Please keep in mind these safes are a minimum of 710 pounds. Click the photos below to see larger pictures of these beautifully appointed jewelry safes.